Situated on Portugal's spectacular southern coast, Le Meridien Penina Golf & Resort is located between the traditional fishing port of Portim and the historic town of Lagos. Located in the Algarve region, Portim features warm seawater beaches and majestic rock formations. 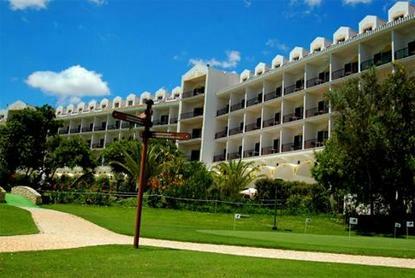 Le Meridien Penina Golf & Resort features two conference rooms. With three golf courses designed by Sir Henry Cotton, including an 18-hole Championship Golf Course, the 360-acre estate includes six tennis courts, a FIFA-sized football field, and a jogging circuit. Alvor, a city just minutes away from the hotel, offers quaint shops, beautiful 16th century parish churches, and a popular casino.Special ConditionRegarding the rooms refurbishment project, it is our pleasure to announce that the east wing of the hotel, consisting in 64 rooms and suites, is in full operation since last January. The central wing consisting of 74 rooms and suites is expected to reopen beginning of April, 2008. The west wing of the hotel, consisting of 64 rooms and suites, has been postponed until later in the year, with dates to be confirmed. Weather permitting, the driving range will reopen in early April, 2008. In conclusion, we are pleased to confirm that, as of the beginning of April, our resort will be again in full activity, with the eastern and central wings completely refurbished, and a brand new driving range.Please contact the resort for fruther information.